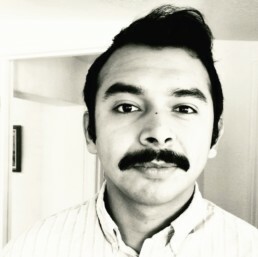 Nicholas Brown is a first-generation, Mexican American poet. His poetry appears, or is forthcoming, in Wildness, Puerto del Sol, Superstition Review, Up the Staircase Quarterly, and elsewhere. He is a reader for Frontier Poetry and a marketer in the A/E/C industry. More of his work can be found at nickbrownweekly.com.